We focus on understanding our client’s requirements to provide a bespoke design or product configuration to achieve a predictable delivery. The more detail we have about the use of a building the better, including operational and practical constraints and design preferences. We can then provide advice which leverages our experience gained on previous projects, and our insight into new or forthcoming products. This includes the delivery of a project using either a bespoke design or one of our standard ONYX ‘intelligent building’ solutions. Our first step is to understand what our clients are really trying to achieve, and their constraints or preferences. Only when we really understand your objectives do we progress to discuss design and product options. Having agreed an outline design and product selections, we provide a budgetary estimate and target project plan, which we refine into a costed specification and delivery schedule. Our install process enables configuration refinements to be accommodated; however we maintain a detailed design specification to capture changes and serve as the basis for your final signoff. 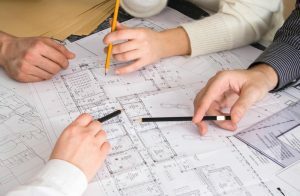 We work with your architects, consultants and developers to deliver the final solution, which includes a thorough test, final client refinements and client handover. Our handover package includes an Operations/Maintenance manual, Design Specification and programming to facilitate support. We can also provide tailored support packages or a handover to your Mechanical and Electrical consultants. Historically projects have been undertaken with mechanical and electrical specialists. However from a building management perspective there is a need for systems engineering to ensure an integrated fully functional solution. Many elements of a building now have mechanical, electrical and control considerations; however these are not always considered as a whole to meet building requirements or operational goals. By leveraging technical design approaches employed in the information technology industry, combined with proven requirements and design patterns, we are able to quickly scope or validate a building management design.